There are a lots of businesses that give out sample products to people for free, and the supplement industry in particular is big on free samples. This not only helps people try out products before investing their hard-earned money, but can also help you save a little cash. Why Are Free Samples Offered? They use this technique to advertise and market their products and therefore increase sales. Obviously they want you to be impressed and then buy the product itself! This strategy has been highly effective for years – just like when you get offered a free taste of some new product at your local supermarket. It works just as well for the supplement manufacturers, since it not only benefits the companies but also us guys and gals that use the products. This is the reason why cost-free samples have continuously been offered. So do I now have you interested in how you can hunt down those freebies? OK, so first there are a few things you need to watch out for, as discovering high-quality free sample products is not as simple as it might seem. You need to be able to differentiate between a reputable and dependable site against the pile of websites that are little more than scams. If it doesn’t look like a genuine site, or has a werid web address, forget about it. The link posted on the website offering free supplement samples should link to the official website of the manufacturer. Once you come across a dependable website, you are likely to find out that they put up a number of free supplement trials by various manufacturers. Typically they link to the manufacturer to get your free product. As mentioned before, you need to make sure that the link is 100 percent genuine, and the only way to do so is to check if the link takes you to the official website or not. If it’s on a website you trust already, then you’re probably fine. The website might then ask you to fill out a form, maybe share the website with your social network circle, or subscribe to their newsletter. Make sure that you fill-out only the mandatory parts. Do not offer additional sensitive information that you don’t have to. 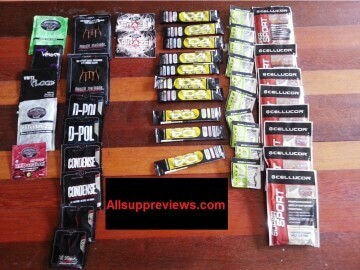 If you are blogger, you can ask the manufacturer to send you sample supplements for reviewing. You can email them about the formulas you want to review on your site. They are likely to send you some free sample products. Another simple way of getting free sample supplements is to buy something from popular online stores like bodybuilding.com. You can choose from a whole list of free stuff when you spend over $75, plus you often receive free samples when you order too. Supplementwarehouse.com is another great place to get free supplement samples. It is 100% secure and offers free samples with every order you place. They sometimes include as many as ten samples with the items you bought, which is of course mind-boggling. They sometimes also offer a free shaker bottle or a shirt too. Why Not Simply Ask For Them! Listed below is the contact information of supplement manufacturers that have offered free samples to the prospective customers in the past. Send a nice, short email to any of the following that you would like to try out (remember, be cool, you’re asking for something for free). Let us know how you get on in the comments below. Or if you find a good freebie just add a comment and we’ll share it with everyone else. Similarly – manfuacturers if you would like to list a free sample add a comment or get in touch. I started weight training a few years ago, but nothing serious. I had no real reason, I was very small, I weighed around 135 pounds but I really didn't care. All I wanted to do was work on my biceps and chest. So I made a decision that if I am going to do this I might as well put my heart and soul into it. Bodybuilding now has played a large part in forming my personality. It has given me the discipline that life success demands, and the determination to overcome obstacles. When I work out, my ambition is to push my body harder and harder every time to see how much it can take how much pressure it can stand. I don't make predictions, I just train hard! "The only thing about a man that is man is his mind. Everything else you can find in a pig or a horse." I am a pro bodybuilder, I do exercise since past 6 years! I also upload videos on youtube – I have a lot of fans there. I have also reviewed more than 5 supplements on YouTube with my own money! I would like to receive free products to review through which the supplements will be promoted. I give you 100% guarantee. I recommend getting in touch with the manufacturers Syed – there’s some contacts in the article above. I just emailed Cellucor, lets see how good I did. Stay tuned for the update. I am doing workouts on a regular basis, my friend suggested this brand Musclepharm so I would like to experience it. Try to send me the full bundle so that I can see the difference? Definitely I will recommend to others if the result is good. I would be happy if I can get your stuff, am into bodybuilding and I train people so I need samples.